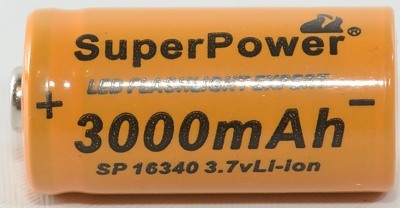 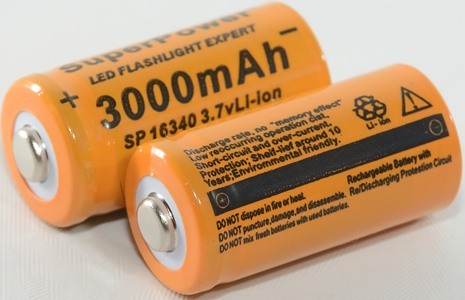 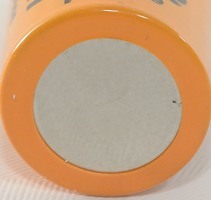 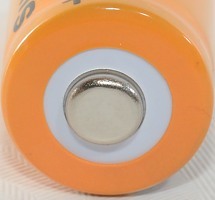 Super power batteries with much more capacity than any other in this size? 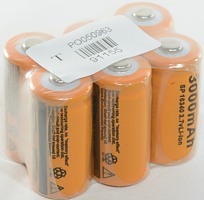 This is, of course, false advertising. 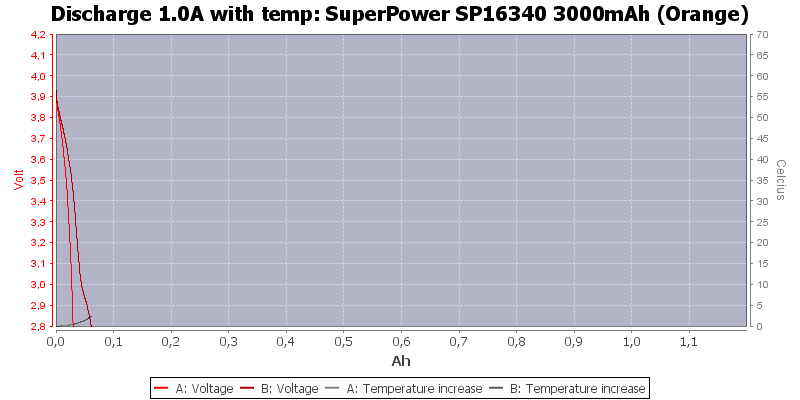 Both cells can handle 0.2A but is strained at 0.5A. 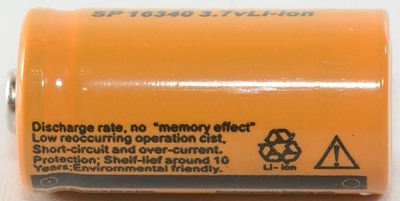 The capacity is also less than 10% of the marked capacity. 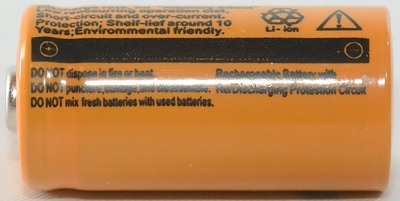 The batteries do not warm up, there is not enough energy in them for that. 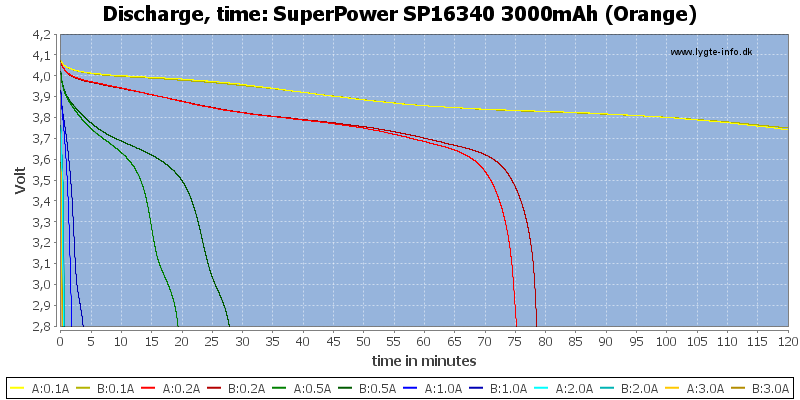 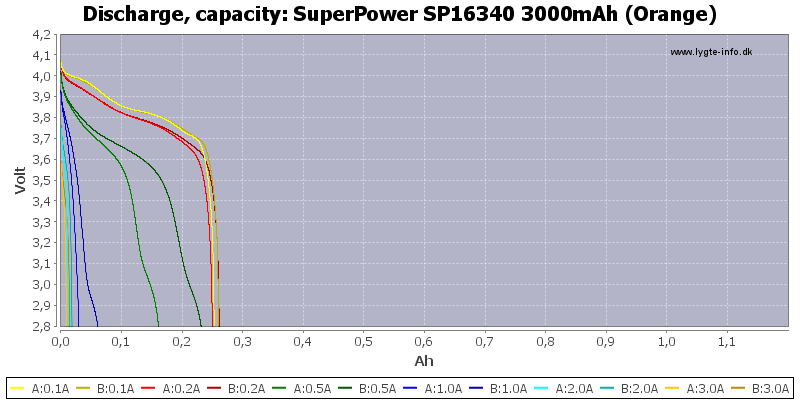 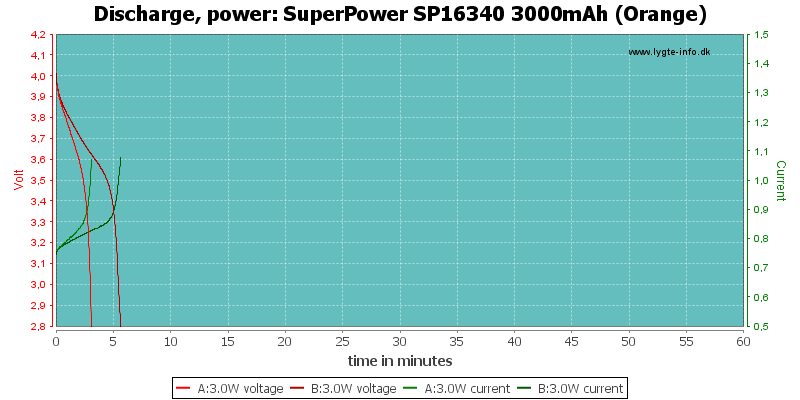 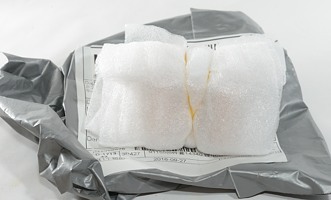 The capacity is a bit below half of a good 16340 cell and the current handling capability is also considerable worse. 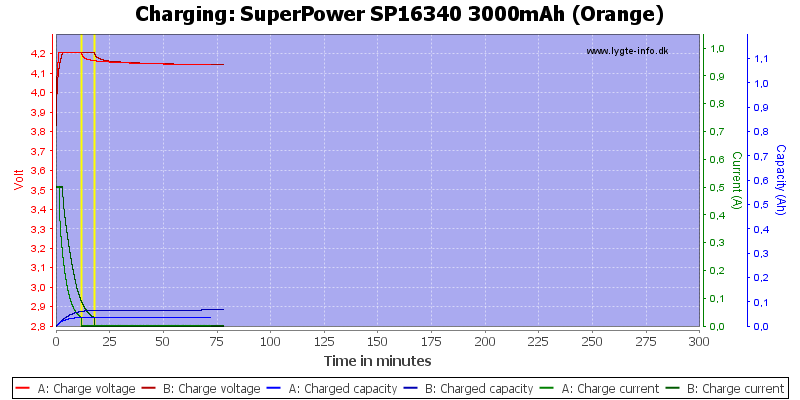 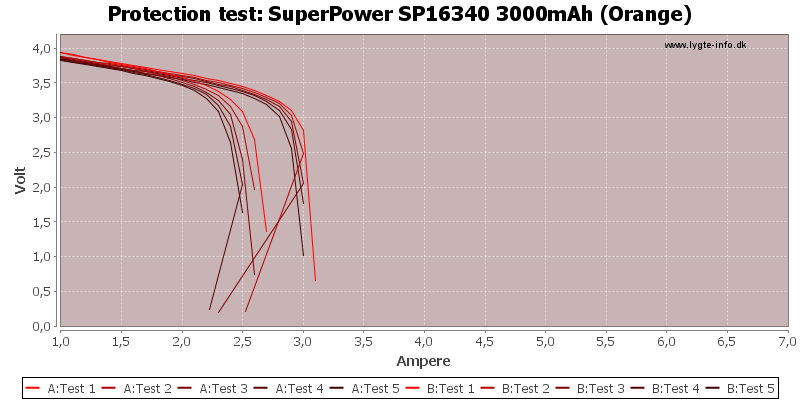 There is no super power this time around, it is just bad batteries.